HA GIANG (VNS)— The northern province of Ha Giang declared its first case of A/H5N1 avian influenza yesterday. 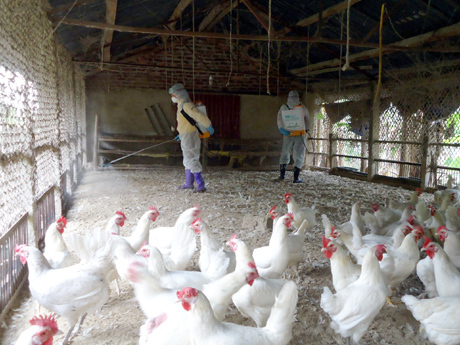 The disease was found in poultry at a farming house in Vi Xuyen District's Dao Duc Commune. The province and district immediately instructed relevant agencies to destroy the infected poultry, sterilise the area, set up quarantine checkpoints and ban poultry imports and exports.